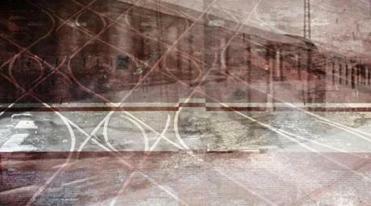 Image from “Glitche’’ installation by Sam Okerstrom-Lang. Inspired by Nuit Blanche, an all-night art festival inaugurated in Paris in 2002, which has since sparked similar events in cities around the world, “Illuminus” will serve up large-scale light projections, a three-dimensional immersive video projection, live music, and interactive fun, all for free. Roughly 30 artists and artist teams will contribute work. Jeff Grantz, founder of the creative consulting firm Materials & Methods, spearheads “Illuminus,” which has come together relatively quickly since last spring, produced and directed by Materials & Methods and Nuit Blanche New York. Grantz has coproduced similar events in New York, but he has lived in Boston for more than 16 years. Part of that opportune timing includes Mayor Martin J. Walsh’s active support for the arts. There’s a sense of welcome in the air that public artists haven’t felt for some time. 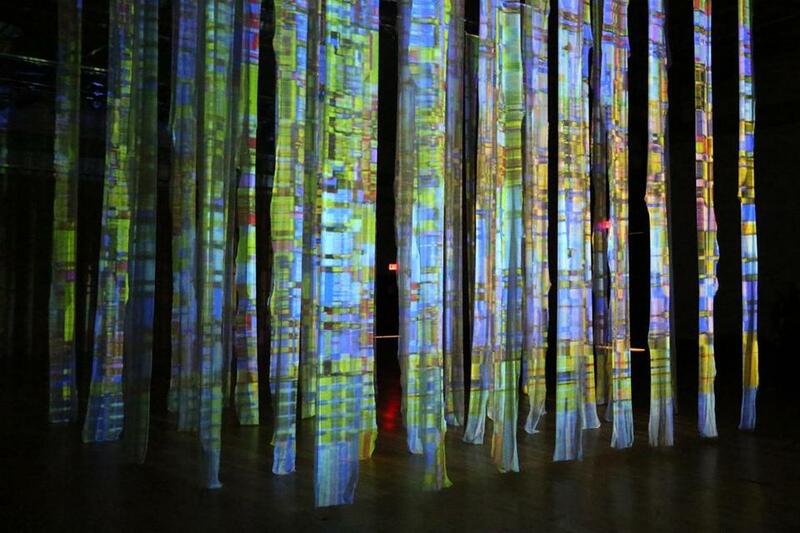 “Illuminus” springs from a series of brainstorming meetings with scores of creative folks. Local curators recommended artists. While other festivals with longer lead times might apply for grants, Grantz tapped some of his Materials & Methods clients, such as Christie Digital Systems, which Grantz says is contributing “millions of dollars worth of projection equipment.” There are nearly 20 other sponsors, “besides my credit card,” says Grantz. Requests for proposals solicited projects at funding levels of $1,000, $5,000, and $10,000, but those may have been dream budgets. In the end, Grantz and his sponsors could cover the event’s infrastructure, and had no money left for artist stipends. The Boston Art Commission, the city agency that oversees Boston’s art collection, has stepped in to pay the artists at three-figure rates. Many artists are excited to be involved in what looks to be a splashy, fun event. Sam Okerstrom-Lang, who graduated last spring from Massachusetts College of Art and Design, will install “Glitche” at the heart of “Illuminus,” inside the former West End Street Railway Central Power Station at 540 Harrison Ave. Essentially, “Glitche,” a 30-foot-tall cube of suspended cotton ribbons, turns video projection into a 3-D experience that viewers can wander through. A variety of videos will be projected through “Glitche” throughout the night, and “Passing By,” a series of music performances curated by the art group Sweety’s, will take place adjoining the installation. “Glitche” is not the only installation inside the power station. 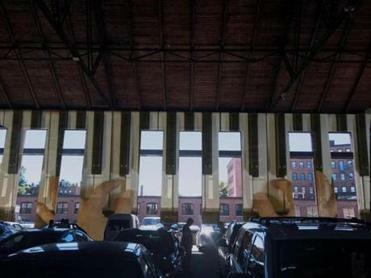 Artists Dan Pecci, Karen Stein-Shanley, and Matthew Shanley and composer and pianist Elizabeth Schumann plan a two-channel video projection and live piano performance, “Miraculous City,” which celebrates the neighborhood’s history of manufacturing pianos. “I’m hoping it comes off as great, because it’s something the city needs,” says George Fifield, director of Boston Cyberarts. Fifield staged the biennial Boston Cyberarts Festival from 1999 to 2011, and recommended a roster of artists to Grantz. “It’s visual art in a festive performance environment. We don’t see a lot of that in Boston,” says Fifield. “We’d love to see this grow,” says the Boston Art Commission’s Goodfellow.